It is Shrove Tuesday so today has been all about the pancakes. We always make a big deal of this day in our house as it's a food all four of us love equally. In general I do most of the cooking at home but when it comes to making pancakes it is definitely my husband's job as I am really bad at it. I am good at picking what to go on them though. That is why I chose this fab photograph tonight. It is pretty much what we had on ours, except we had chocolate spread as well as the fruit. And of course we had to be a bit traditional and have some with just sugar and lemon too. So what about you? 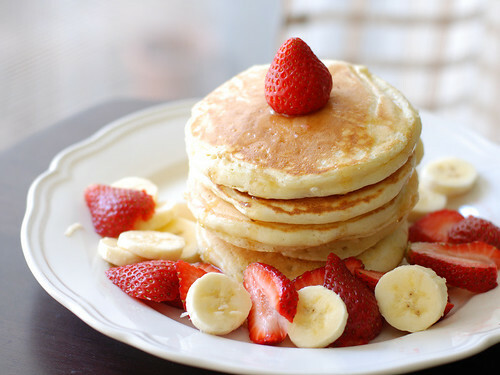 Any pancakes in your house today?